“Felt embarrassed in public due to bleeding gums? May be while you were sharing fruits with friends? Gum Bleeding is that problem which is faced by mostly everyone. Diabetes or heart disease may also lead to gum problems. Gum bleeding is the first sign of gum problems. 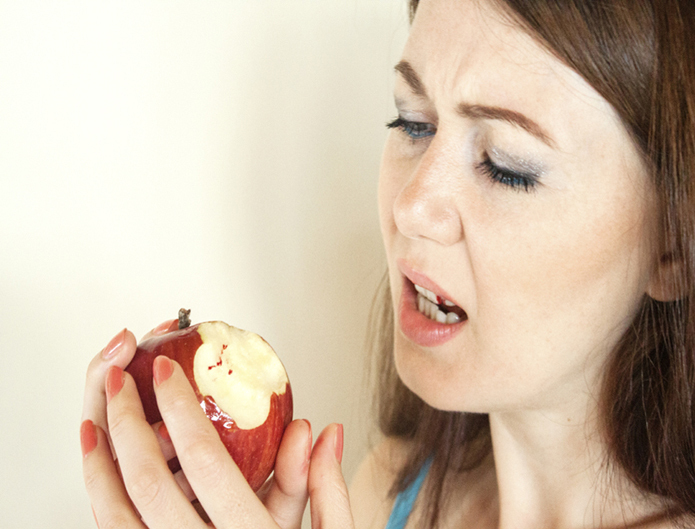 This problem occurs due to gum infection and poor oral hygiene. 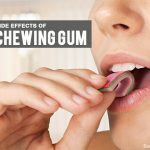 It mostly occurs while brushing or when you are eating some raw fruit. If the problem is followed by swollen gums, bad breath, then these are the symptoms of gingivitis. Home remedies work well in treating it and in curing various other problems like periodontal disease. Clove oil is useful in reducing inflammation of gums and helps in stopping gum bleeding. 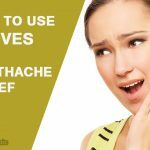 How to use: Take a small amount of clove and rub it on your gums and you can even chew a piece of clove. 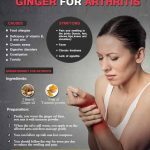 You may feel a burning sensation, but you will definitely get relief. As we all know aloe Vera has many medicinal properties. One of its medicinal properties is reducing gum bleeding as it kills bacteria responsible for gingivitis. Aloe Vera also helps in healing. How to use: Massage aloe Vera gel on your gums. Fresh aloe Vera pulp can also be used. You can even have liquid which consists of aloe Vera. Fruits are not only good for health but also good for gums. Gum diseases are caused by a deficiency of vitamin C. Fruits like orange or cabbage are the best source of vitamin C.
How to use: Try to consume more citrus food. If you have no problem in drinking milk then this is the best home remedy. Milk is enriched with calcium and calcium is very good for healthy teeth’s and gums. There is one more fact that milk is a good source of fat and if you don’t brush it will stick to your gums and your problem may increase instead of decreasing. Salt is found in everyone’s kitchen so this method is considered as one of the easiest method. 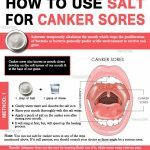 How to use: Add little amount of salt in lukewarm water and gargle. Use saline solution to rinse your mouth in the morning as it helps in improving blood circulation and swelling reduces. This will surely decrease your problem. Baking soda is also easily available and is present in everyday kitchen. How to use: Dip your brush in baking soda and brush or you can even prepare a solution. Mix baking soda with water and apply it on your teeth’s and gums. It has many anti-bacterial properties which help in curing many gum problems. Fresh juice is best as packed juice contains many preservatives and is mixed with sugar. Tea oil is also anti-bacterial and helps in destroying bacteria which cause gum problems. How to use: Add a few drops of tea tree oil into lukewarm water and apply it on your toothbrush. Even you can put a few drops on your toothpaste and brush directly. EVOO contains oleic acid and flavonoids, which acts as antioxidants and helps in reducing gum problems. 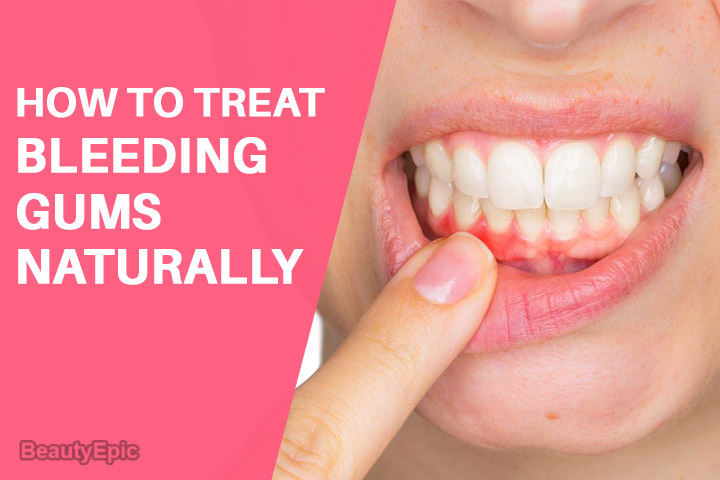 It is one of the best methods to solve the problem of gum bleeding. How to use: Mix few drops of oil in water and swish or you can put the drops of oil directly on toothpaste or brush. You can do the same thrice a day. It also has an anti-microbial property which helps in fighting against those bacteria which causes gum problems. How to use: You can brush and massage your teeth with oil. One can also swish and then spit the oil. You can also add a few drops of oil in warm water and your hygiene solution is ready. Sweet things are not good for teeth and gums, but still honey is beneficial due to its anti-bacterial properties. Honey is a good source of minerals and vitamins which provide nutrition to teeth and gums. How to use: Massage your teeth with organic honey twice a day so as to avoid gum problems. Garlic is one of the powerful anti-biotic and when we mix it with honey the power increases, and then it acts as an anti-bacterial tonic for gums. How to use: Massage your teeth and gums with this paste. You will feel a burning sensation, but you will get relief from bleeding gums. These oils are found in many toothpastes and mouthwashes. These oils help in reducing gum problems too. Soft brush must be used and brush twice a day. Mouthwashes which contain alcohol must be avoided. Avoid smoking or tobacco products. If your problem is not solved by any of these remedies then you should visit a dentist as it can be a major problem.